Achieving scientific and technological literacy for all students is a goal of recent science education reform efforts (American Association for the Advancement of Science, 1993; National Research Council, 1996). Teacher educators play a critical role in preparing new teachers to meet this goal. This article presents a model based on conceptual change learning theory, for learning to teach science with technology. This model was used to revise our secondary science methods courses. While integrating technology in this project, we focused on three types of technology tools: (a) probeware, (b) computer simulations, and (c) an online communication tool, CourseInfo. The implementation of one full cycle of the model using LoGal computer simulations is described. The following challenges were encountered while integrating technology into the secondary science methods courses: (a) the ongoing development of the teaching team's pedagogical content knowledge for using technology to support scientific inquiry (PCK-Tech for SI), (b) students' perceptions of an overemphasis on technology and the resistance of some students to use technology, and (c) time issues. Questions that have emerged for teacher educators and an outline of new directions for the secondary science teacher education program are offered. Dana, T.M., Zembal-Saul, C., Munford, D., Tsur, C. & Friedrichsen, P.M. (2001). Learning to Teach with Technology Model: Implementation in Secondary Science Teacher Education. Journal of Computers in Mathematics and Science Teaching, 20 (4), 377-394. Norfolk, VA: Association for the Advancement of Computing in Education (AACE). Retrieved April 22, 2019 from https://www.learntechlib.org/primary/p/8435/. American Association for the Advancement of Science . (1993) . Benchmarks for science literacy . New York: Oxford University Press . Schecker , H . (1998) . Integration of experimenting and modeling by advanced educational technology: Examples from nuclear physics . In B .J . Steed, M. (1992). Stella, a simulation construction kit: Cognitive process and educational implications. 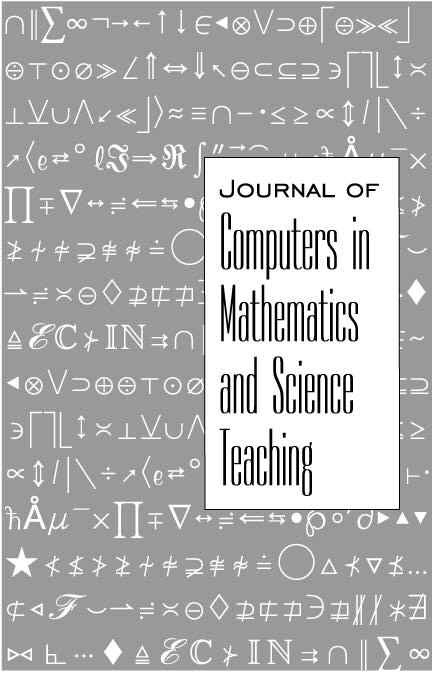 Journal of Computers in Mathematics and Science Teaching, 11 (1) , 39-52.